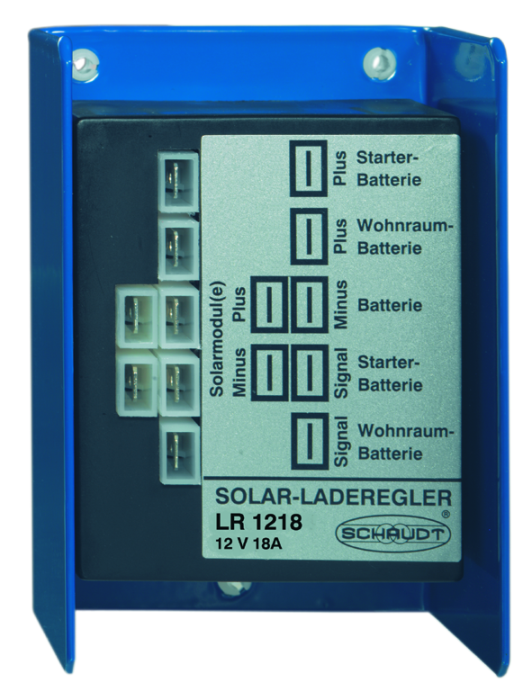 The Solar Charge Controller LR limited in 1218 and regulates the charging voltage from the solar modules. It ensures gentle charging of one or two batteries. 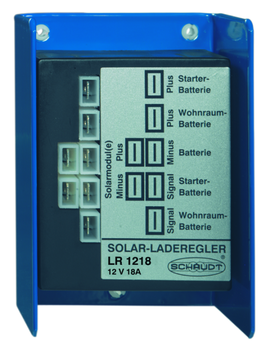 An integrated isolation diode prevents discharge with insufficient charging voltage (for example, dark).